Millions of students each year are graduating from America’s high schools unready to enter the workforce or continue their studies in pursuit of a postsecondary credential. A new report from the Center for American Progress finds that lax state high school graduation requirements are in part responsible for this glut of ill-prepared students. The report examines how states are doing in preparing their students for admission to their local public university system and if state graduation requirements are preparing students with a high school diploma to meet key college- and career-readiness benchmarks. The report also includes six policy recommendations to narrow preparation gaps. Just four states—Louisiana, Michigan, South Dakota, and Tennessee—have aligned requirements to receive a high school diploma with admissions eligibility for the state public university system. Only 23 states require some element of a well-rounded education. Delaware requires graduates to take three career and technical education (CTE) courses, while four other states—Alabama, Montana, Utah, and Washington state—require CTE courses but fewer than three credits. No state meets all measures of CAP’s quality review test. Math requirements in nearly 1 in 5 states do not align with college admissions requirements. Foreign language requirements in nearly half of states do not align with college admissions course requirements. Some states have multiple subjects that do not meet college admissions eligibility requirements. Wisconsin has five subjects—math, science, social studies, foreign language, and electives—that do not meet criteria for admission to the state’s public university system. California and Wyoming marginally trail the Badger State with four subjects not meeting college requirements. In New Hampshire, three subjects do not align with admissions eligibility criteria. Ensure clear alignment of the requirements for high school graduation with the admissions requirements for state public university system. Require completion of the 15-credit college-ready coursework required by most public university systems to receive a standard high school diploma. Require both the 15-credit college-ready coursework and three-credit CTE coursework for students pursuing career pathways after high school. Publish graduation rates disaggregated by student group and diploma type. Ensure that all districts have the resources and workforce to offer the courses and preparation needed for students to meet the requirements for both standard and career readiness-diplomas. Develop and maintain systems to monitor districts on appropriate methods to collect and analyze graduation requirement completion. Read “Are High School Diplomas Really a Ticket to College and Work? 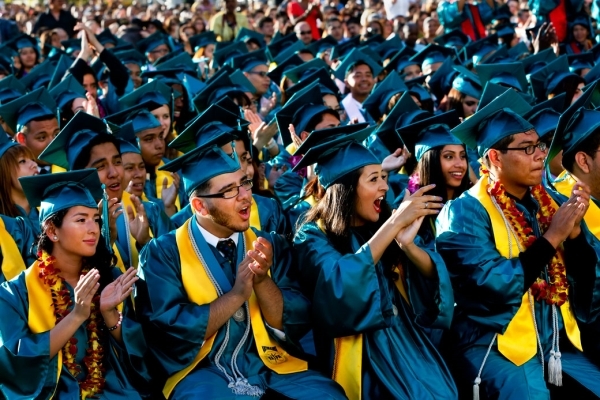 : An Audit of State High School Graduation Requirements“ by Laura Jimenez and Scott Sargrad.